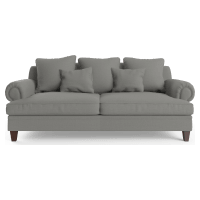 As the name suggests, the English Roll Arm Sofa is recognised by the distinctive rounded shape of the armrests. Sculpted by the use of ample padding, they sit low in comparison back of the chair for a refined and elegant look. 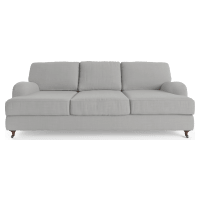 A versatile piece, the English roll arm sofa can easily be adapted by the choice of fabrics and leg styles. 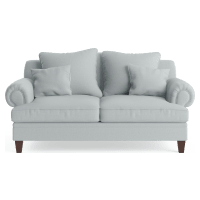 Choose from an extensive colour palette for your English roll sofa, with everything from soft neutral hues to darker shades available. 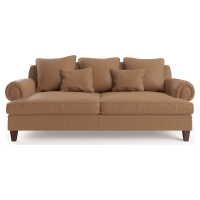 Match it with a range of living room furniture, or if the plush sofa look is your style, see also a range of Lawson Sofas and our full range of sofas.